Recent years have seen many lab-grown materials grab plenty of headlines. Here are the three most important materials that you should keep an eye on. Things we previously thought were exclusive to nature’s organic and biological processes are starting to be replaced by lab-grown materials. For decades, humans relied exclusively on nature to provide them with all of their basic needs. As the range of basic human needs evolved, so did our “trickery” to come by what nature couldn’t provide. We often “transform” things to meet some quality and quantity standards. Process industries have had a big effect on the evolution of human society. Now, these structures are putting the Earth under pressure. Today, we are at the point where we can and have to create biological things from scratch. Solutions need to be found to stem our species’ effect on the Earth — and lab-grown materials might just be the solution. How can you provide meat to feed a growing population without using animals? The answer is in-vitro meat, or meatless meat — a lab-grown material which has the potential to provide the same source of protein without destroying the Earth. Manufacturing in-vitro meat involves no animal slaughter and no animal farming. It also has less impact on the environment, fewer health issues, and is more cost-effective. However, cultured meat sourced from lab-grown materials remains a hard sell. 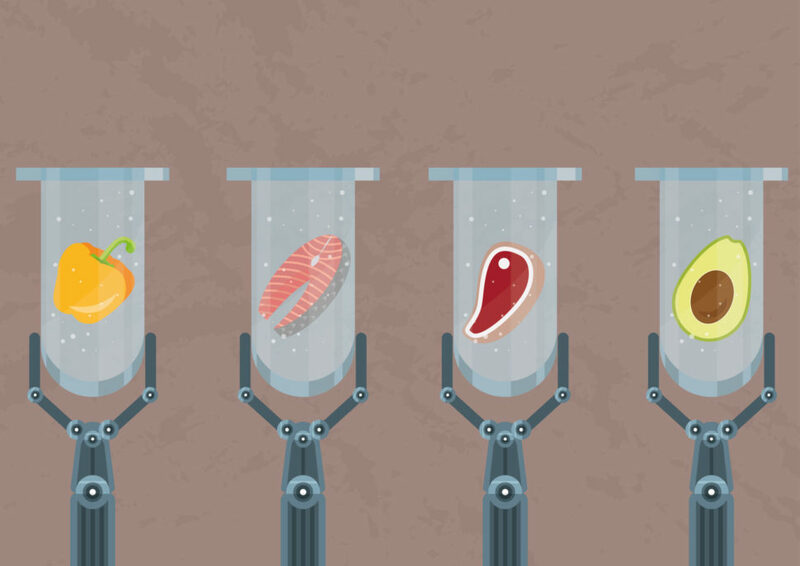 If the the technological approaches to tissue engineering are advancing, clean meat has some hurdles to overcome when it comes to consumer acceptance. Many food companies are winding their way into the budding market of lab-grown materials for meat. However, everything hinges on people’s willingness to change their age-old eating habits and adopt cleaner practices. Meat has been a staple of the human diet for a very long time, and it’s now associated with more than just “sustenance”. Besides, the traditional players of the beef industry are trying to put a spoke in lab-grown meat’s wheel to protect their turf. In your brain right now, billions of neurons communicate with each other via an intricate network of neural connections. Neural networks make the brain this amazing piece of biological engineering that controls every system in the body. Neuroscience, which aims to understand the mechanisms behind neural interactions, can’t count on living brains in experimentations because of all the ethical constraints. Human induced pluripotent stem cells (iPSCs) provide neuroscientists with an effective alternative thanks to their ability to differentiate into any cell type, including brain cells. In a recent development that would give neuroscience and regenerative medicine a boost, scientists built 3D models to culture iPS cells and grow functioning human neural networks. If iPSC-based “artificial” organic neural networks clear the moral issues associated with living brains, they raise other justified concerns. Though growing fully functioning brains might be far-off, it’s a logical culmination of the neural tissue engineering technology. Would lab-grown brains develop a “mind” of their own? If yes, will these brains in a vat lead a simulated existence? And what would this mean for our own reality? Meat isn’t the only commodity we harvest from living animals. We also kill them for their skin and fur. Every year, millions of animals around the world are harvested by the leather industry that transforms their skin into jackets, boots, belts, and other fashion items. Leather might never be out of fashion, but we may be able to take out animals of the picture thanks to advances in biotechnology. Like in-vitro meat, animal-free leather is a noble goal. We’re not talking of synthetic products like pleather or faux-fur that lack the quality we’ve come to know and like in animal products, but “real leather” made without killing any animals. Based in Nutley (NJ), Modern Meadow is a startup that developed a technology that allows it to grow a variety of fabrics, including leather. The success of biofabricated leather might depend more on designers and manufacturers’ willingness to incorporate it into their creations. Lab-grown materials could be a vital step towards the next stage of human development. As our population grows and our demands increase, it now may be time to stop depending on the Earth for certain products and look towards synthetics for our solutions. What other lab-grown materials do you think should be studied further?